According to the second national sample survey on disability carried out in 2006, there were approximately 85 million people with disabilities (PWDs) in China, most of whom were living in poverty. The numbers could be higher as China defines disabilities differently from other countries. There is also a cultural practice of families hiding their disabled relatives, whose imperfections are often seen as a “punishment” to parents for moral or spiritual misdeeds. Despite that notion, there’s progress on the issue of disabilities in Chinese society. Nowadays, PWDs in China are often referred to as 残障人士 (cánzhàng rénshì, literally “incomplete and hindered person”), or 残疾人 (cánjí rén, “person with incomplete illness”), as opposed to the historical term 残废 (cánfèi, “incomplete and useless”). Also last year, the State Council of China passed an ordinance on disability rehabilitation, expanding government measures to provide assistance and services to PWDs. This includes establishing a system of rehabilitation for disabled children, but specific measures are yet to be formulated by the government and the China Disabled Persons’ Federation (CDPF), a national agency for the disabled individuals in the country. The ordinance effectively strengthens the country’s Law on the Protection of People with Disabilities, which guarantees the civil rights of PWDs, including their job security, rehabilitation, and education. However, in the area of education alone, many local schools are simply not equipped with facilities and learning support systems especially for children with disabilities. The CDPF said that there were as many as 90,000 disabled youngsters that had no access to education at the end of 2012. Another report from the foundation suggested that inadequate services for specific disabilities, and even the cultural life in the community of these children, were some of the main reasons for dropouts. Until government actions are instituted from a national scale down to the grassroots level, PWDs will need to break the stigma with the help of their own families. Occupational therapist Nazneen Adam says that acceptance is the first step, explaining that not only parents but everyone should be able to understand the situation of people and children with disabilities. Speech pathologist Maureen Tanoy adds that parents should address their expectations, especially for school-aged kids. They both work at The Learning Frontier, a learning support institution which provides specialist services for children with learning needs, from a variety of different nationalities. We recently interviewed the two specialists about the issue of addressing the learning and developmental needs of children with disabilities: how 21st-century education strategies are integrated into therapy, early intervention and playtime, and more. What’s the difference between ‘diagnosed’ and ‘undiagnosed’ children? Adam: We get kids that have diagnoses and that can be anything from cerebral palsy, autism, ADHD, or others. In general, they need different therapies to support their development. But we also get kids who don’t have a diagnosis; it’s not that they’ve missed it, but that they have some mild difficulties, which could be a slight developmental delay. That’s not specifically a difficulty related to a diagnosis but maybe just a mild delay, or a skill that hasn’t been developed appropriately. Tanoy: On the terms of ‘diagnosed’ and ‘undiagnosed’ kids, a medical diagnosis would be very apparent in the beginning, especially if you go to the doctor regularly for a checkup. Adam: But learning difficulties are not something that is visible, that when you go to visit a doctor you would know. No, it needs more information from parents and teachers. You need to observe factors in different areas and take that information in. How can parents identify or observe such cases? Tanoy: It’s hard to say and I think it’s always better to rely on a professional. Although for kids, a reliable source is someone whom they always interact with the most time of their day. Parents would obviously know if there’s something their kids need help with, especially if they have had a child before. They will know what child development will look like. Also, what’s really common in China is kids are mostly in school so it’s usually their teachers who would notice difficulties. We (specialists) rely a lot on teachers because they spend a lot of time with kids and they know what to look for. What are the signs in learning difficulties in kids that parents and teachers need to look out for? Tanoy: Spotting learning difficulties isn’t the focus of teachers, but they do know, especially if they’re very experienced. If a teacher has been working with the same level of kids for their entire career, they will know when one of the kids doesn’t perform the same as others. Adam: If teachers find that children aren’t meeting specific goals of the curriculum, they can do their own interventions. But if they find the difficulties to be persisting and their interventions are not helping, it’s a good idea to seek professional help. How should non-specialists like teachers and parents react to their observations of children? Adam: Sometimes, people are not sure when to refer or say, ‘Maybe I should wait a little bit longer. It will be better.’ We find teachers are very aware and when we speak to them, they say, ‘We see this, but we don’t know what we should do or where to refer.’ Experience and education are not just about understanding child development in those areas. There are ways to refer, and they should know there are resources in Beijing. Tanoy: If you’re a parent and if your child is in school, it’s very important that you constantly communicate with the homeroom teacher just so that both of you are on the same page and see where the child is heading in the course of a year. Oftentimes, it’s a question of when, not what the problem is. The question is always, ‘When do we need professional help?’ ‘When is the right time to find a specialist?’ It’s very important to know if the problem is being addressed or what things the teachers are doing. If these are not working, then we can figure out why so. Adam: Early intervention is the best. It’s easier to improve skills earlier rather than later. It becomes a little bit difficult and takes longer once kids are older. Just how early can early intervention start? Adam: It’s very dependent on the learning difficulty. Parents know the steps for development for younger children, so when they are not reaching the normal masteries of skills, and if they continue not to, it’s a good idea to refer them to a specialist. Tanoy: For parents, it doesn’t matter how big or small your concern is. If you feel that something is amiss, you always have your pediatrician for younger kids as they need a regular checkup. Once kids reach 3 or 4, then the checkup with the pediatrician is not as often but at that age, kids will be already at school so teachers should be the resource for parents. What can you say about the learning support systems in local public schools in Beijing? Do you think that local teachers are equipped or have enough education to observe learning difficulties in children? Adam: From what we understand, many local schools do not have learning support systems. Tanoy: But they do have mental health counselors. But anything outside that is offered privately. Adam: I’m sure that teachers know what learning difficulties are but they might just not have enough experience. Also, there were a lot of mentions about and creating resources for special needs after the latest government conference. Tanoy: We assume that these teachers are equipped. But it’s just always a question of, ‘Ok, I found something. Now, what do I do?’ If you are a local teacher, ‘Where will I refer these kids? We don’t have that resource, anyway.’ It’s always about what solutions you can give the parents, because if there aren’t any then it would be a difficult situation. How do you integrate 21st-century educational teaching into your specializations? Adam: It’s a hot topic at the moment. For example, people say, ‘Why is handwriting still important? We don’t write anymore, we have computers.’ In my specialization, occupational therapy, handwriting is still important because the skills that you use to develop it are the same skills that you use later on to certain visual-perceptual abilities such as reading or drawing, as well as develop other motor skills and muscles. Tanoy: It’s the same with speech therapy, it’s a hot topic right now, especially when kids use the iPad or TVs. It’s not bad if these devices are used in moderation or in a way mom and dad are included. Kids shouldn’t be left alone with gadgets, but instead, we should use these devices to make it an interactive play with other people. By cutting off that playtime, we’re not developing the social communication skills that we need. An iPad that will talk to you will not require you to talk back because it’s very visual and feeding you what you need. It’s a very one-way stimulus. For kids with special needs, will playtime be more effective to develop their learning skills? Tanoy: We make teachers understand why certain activities and playtime are connected to each other. The main thing that kids do is play, eat, and sleep. Somewhere along the process, teachers and specialists have to find a way to integrate themselves in a manner that kids will find you interesting, such as being fun or playing with them. Otherwise, they will not talk to you at all or even acknowledge that you’re there. Adam: But then we still want children to develop imagination and creativity so you will want them also to be able to play with simple toys, and that’s important for their problem-solving skills. It doesn’t have to be high-tech. Free play is very important for children and they need to learn how to play by themselves and not to be occupied by something all the time. What do you think about apps and tools that people can use for rehabilitation? Adam: Definitely there are a lot of apps that we can use but every child is different. You can’t say that one app can specifically help one issue. You can understand the extent of the child’s learning difficulty and what they need for that. So, we sometimes do recommend apps but it’s not to say that for this issue we’re going to always recommend something. It’s always dependent and specific on where the child is in the process of therapy. Tanoy: I’ve encountered a lot of parents who are very proactive in terms of finding resources. But I suggest that if they find an app or a resource, it’s always good to ask a specialist. It’s up to them to make their own informed choices. Have you ever asked parents what do they hope for their kids? Adam: When we set our goals, we consult the parents and want to know what they’d like their children to achieve. It’s more related to what’s specific at that time and not in the future, but I think parents just want peace of mind that when they’re gone, their children will be okay and be looked after. And that they will be able to feed themselves. Tanoy: I always tell the parents to be realistic with what they want for their child. You don’t want frustration from your end and from your child’s end as well because they’re trying to beat your expectations. You don’t want that to be an issue. At the same time, I always tell parents to find joy in little things and successes of your child. Even the little things matter for these children. 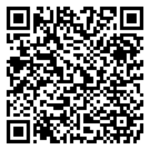 Long-press this QR code to access an updated list of schools and institutions providing special education needs (SEN) in Beijing. – Palmer, James. Crippling injustice: Disabled people in modern China are still stigmatised, marginalised and abused. What hope is there for reform? Aeon.com. – The Economic and Social Commission for Asia and the Pacific. Country presentation Goal 3 China, Expert Group Meeting on Effective Data Generation for the Incheon Strategy Indicators Bangkok, 6-7 November 2013. – The State Council of the People’s Republic of China. 《残疾预防和残疾人康复条例》中华人民共和国国务院令第675号. – Y-Wang. A Glance at People with Disabilities in China. China Source. 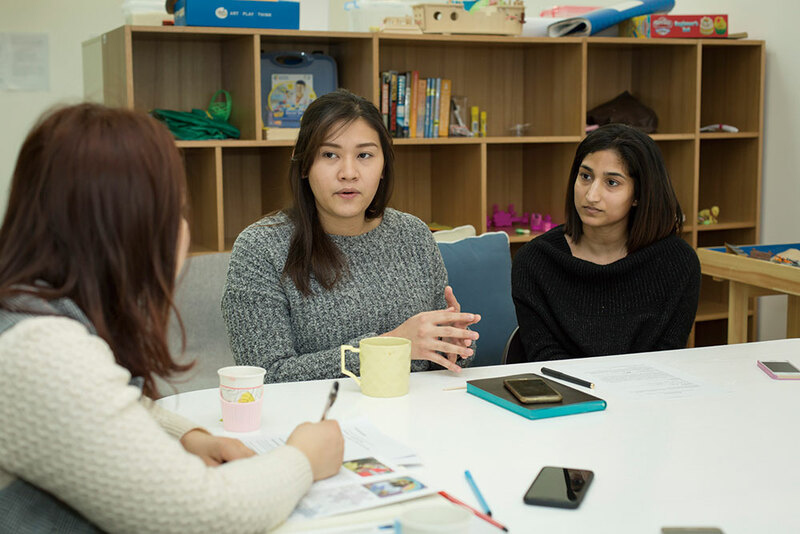 This article appeared on p32-34 of beijingkids March 2018 issue.